following john's scenario, I can replicate. wind-borne wrote: following john's scenario, I can replicate. oh wait, if i give the toolbar a horizontal orientation then i do in fact get the extra button.. i keep all of my tool bars vertically on the left side and when done like that, it's always 4 buttons. if i move the 5 button bar to vertical prior to restarting , only 4 will show up after the relaunch. so it is a Mac thing, but quite harmless it seems, and I already asked TIG if it was a new tool pending (sorry no), I also stripped out all my rubies and then did a clean-instal of SU just to see if it would go-away, all to no avail. So I'm quite please it can be replicated... sort of. I'll try the vertical tip from Jeff and then forget all about. driven wrote: so it is a Mac thing, but quite harmless it seems, and I already asked TIG if it was a new tool pending (sorry no), I also stripped out all my rubies and then did a clean-instal of SU just to see if it would go-away, all to no avail. So I'm quite please it can be replicated... sort of. There MIGHT be a new tool coming... BUT it's nothing to do with that extra button ! I have been using it a lot lately and love it. But I run into a problem each time. 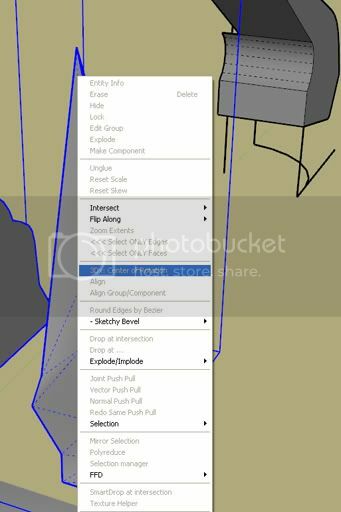 After using it, whenever I right click on an object, most of the functions are not working and i have to restart Sketchup. I wonder if it's a bug and if anyone else has experienced it. I've only really tried EEBR so far, but it's really cool and has a multitude of uses. Personally, I find a tutorial for EEBR unnecessary. I find the plug-in pretty straightforward and easy to use. Still, Arc did a good job with his vid. ken28875 wrote: Awesome tools, TIG. This is a known problem - BUT not related directly to any particular Plugin. The latest versions of SUp have a bug where the context-menu items can get 'grayed-out' after a number of repeated 'clicks' on objects; it might also be related to the number of plugins that you have installed. The latest versions of SUp have a bug where the context-menu items can get 'grayed-out' after a number of repeated 'clicks' on objects; it might also be related to the number of plugins that you have installed. And I thought I was the only one having this problem! Thanks for mentioning it. Thanks TIG, Just dl'd and played a bit. I like the zipped set...makes it so much easier. Cheers! will the zipped set be updated along with each update of each individual plugin ? haynesc wrote: will the zipped set be updated along with each update of each individual plugin ? The individual EEby.. tools will no longer be updated. However, the 'notes' will remain in each individual tool's thread, and I shall also remove the downloads from each at the next update... [which might be next week]. I downloaded this a while ago and forgot to say thanks, so thanks! These are those most sacred of tools that bring entirely new functionality to SU. EEbyRailsbyFace isn't working on my Mac, and when I looked at the code, line 632 comments out all lines through to 693 which look important to me. When you try it on your Mac what errors do you get in the in the Ruby Console ? Thanks - that points to a typo in the file that doesn't cause me a problem while checking it... but does you ! Last edited by TIG on Fri Feb 12, 2010 5:57 pm, edited 1 time in total. I EExRxF is working although it does crash out if you do it wrong, and it is that one that wasn't even starting. Main changes are in EEbyFace and the related EEbyFaceByRails - their extruded form is now consistently oriented. Also minor speed improvements and the lingvo files updates. Feedback....I noticed the uniform spline of Fredo's makes the sexest railed surfaces. I do think the bezier command shrinks these curves..But Thank you!! I will be donating on your behalf soon. Like the day I can actually put money in my pocket, sweariingly.. I use your tools the most!! lately. Much THANKS and donation soon!!!! Hi TIG would you be able to place your tools in a sub-menu like iv shown above ?